So you’ve woken up, and oh no…you feel that scratch…that tickle…and then the dull ache. You race to the medicine cabinet to find the cupboard bare. No throat syrup or painkillers. What will you do? Here’s what to do… use these 7 natural remedies for sore throat. How much money, over the years, have you spent on medicines, tonics and syrups? Probably a lot. Today that changes! These home remedies for sore throat work, are made with common household items and are inexpensive! Stop Suffering Sore Throat! Here’s What To Do Now! Sore throats, a very common and very painful infliction, can come on at any time. They can be caused by a number of different suspects. Some are due to bacterial infection (or strep throat), and some are due to viral infections. Either way, a sore throat should always be assumed contagious, so you need to take action now. It is vital that you address the cause as well as the symptoms. 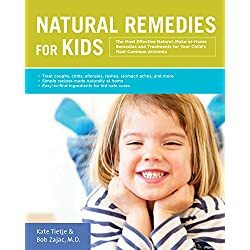 Thankfully, there are safe and effective natural sore throat remedies you can prepare and use at home. The best bit is they don’t require an antibiotic prescription or have any of the nasty side effects. A saline gargle is one of the best remedies for a sore throat. Proven and trusted by many. And for good reason … it works. Mix ¼ teaspoon of seasalt in a half glass of warm water stir to dissolve and gargle with this solution three times a day. Saline has natural healing properties. It neutralizes acidity produced by viruses and bacteria in the throat and will soothe inflammation (redness, swelling, pain). Make fresh saline solution each time you want to gargle. Another gargle for sore throats is made with baking soda. National Cancer Institute studies suggest adding baking soda to the normal saline gargle is more effective. Combine ¼ tsp baking soda, 1 cup warm water and ¼ tsp of sea salt. This combination is a winner for killing bacteria and relieving sore throat symptoms. Baking Soda Gargle prevents further growth of infection-causing organisms. It is recommended you gargle with this solution every three hours. 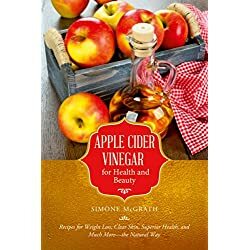 Apple Cider Vinegar (ACV) is a much used ingredient in home remedies and it is extremely effective when used for sore throat. It has an antimicrobial effect. Its acidic nature stops the growth of bacteria and alleviates symptoms of a sore throat. 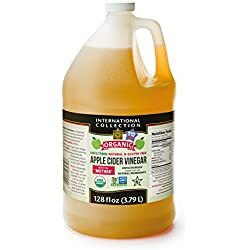 Gargle with 1-2 tablespoons of ACV in 1 cup of warm water. Sick of gargling? Here’s the answer! Then try our ACV Honey Throat Soother. This is one of my favorite natural remedies for sore throat. Combine ¼ cup of ACV and ¼ cup of Honey. Take one tablespoon every 3-4 hours. Add 1 tsp of powdered ginger (alternatively use minced fresh ginger root) and 1 tsp honey to a mug. Squeeze the juice of a half lemon into it and top up with hot water. Drink hot (As hot as you can tolerate). The heat and the ingredients antibacterial properties will soothe your throat. Another amazing effective home remedy for sore throat is turmeric powder. This is because turmeric has strong anti-inflammatory and antioxidant properties. Mix 1/2 tsp of turmeric powder and 1/2 tsp sea salt in one cup of warm water. Cloves have antibacterial and anti-inflammatory properties. Both help to soothe and heal infected throat. Add 2-3 crushed cloves to the honey, ginger and lemon drink (#4), or combine 1/2 tsp powdered cloves in warm water and gargle with it. Licorice root is a proven natural remedy for eliminating cough and sore throat. Mix 1 tsp licorice root syrup in 1/2 cup warm water and gargle with it. Any inflammation of the throat and tonsils that causes pain when swallowing. Around 30 percent of people who visit a doctor complain of a sore throat. That’s a lot of people! Sore throat symptoms and signs vary depending on the cause. If you are usually healthy, a sore throat very rarely has complications or serious after effects. It will usually disappear on its own within a week. There are 2 types of sore throat infection – bacterial and viral. There are many organisms that cause a sore throat, however most bacterial infections are streptococcus, while most viral infections are rhinovirus. It is usually pretty difficult to tell the difference between these two types of infection. Regardless of whether bacterial or viral you will find relief with our 7 natural remedies for sore throat.